Explanation: Why did the recent volcanic eruption in Iceland create so much ash? Although the large ash plume was not unparalleled in its abundance, its location was particularly noticeable because it drifted across such well populated areas. The Eyjafjallajökull volcano in southern Iceland began erupting on March 20, with a second eruption starting under the center of a small glacier on April 14. Neither eruption was unusually powerful. The second eruption, however, melted a large amount of glacial ice which then cooled and fragmented lava into gritty glass particles that were carried up with the rising volcanic plume. 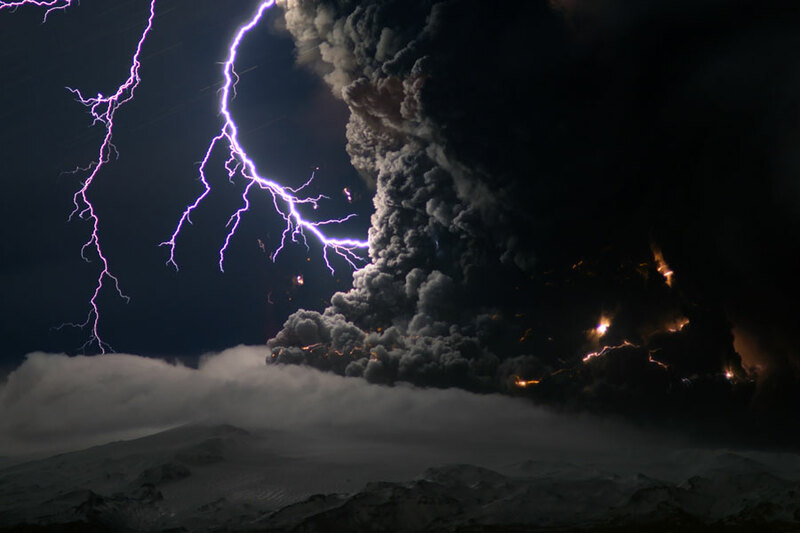 Pictured above two days ago, lightning bolts illuminate ash pouring out of the Eyjafjallajökull volcano.